And I thought I had a full passport! I was reading this article about a man who was fortunate enough to have free flights anywhere he went and took advantage of this rare opportunity! As a result he had filled countless passports and even has a passport with 331 pages! As the article noted, the U.S. had a policy but not a law that only 3 extra sets of pages could be added. With changes taking place forcing travelers to get a new passport instead of adding pages, this will be the last time his passport will be able to reach book level. This entry was posted in Uncategorized and tagged passport on March 10, 2016 by kermit206. A friend sent me this article about how to get through U.S. customs faster and easier. 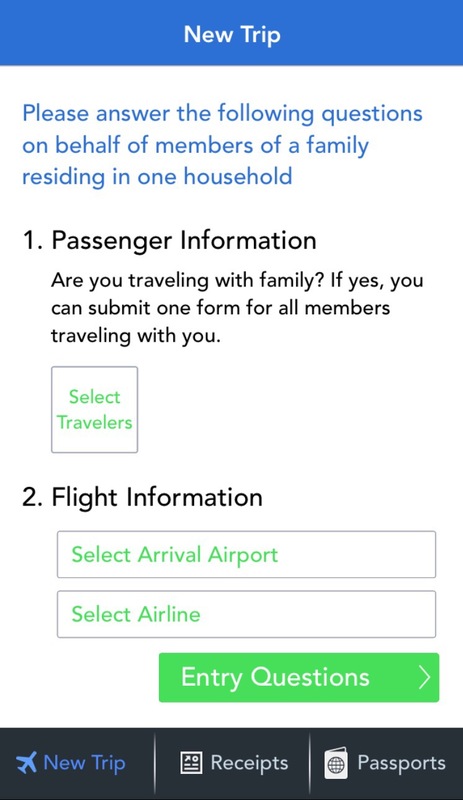 One of the suggestions was to download the Mobile Passport app to fill out your paperwork, take a selfie, and breeze through customs. Funny enough I had just downloaded it and started an account as I read about it in an in-flight magazine. 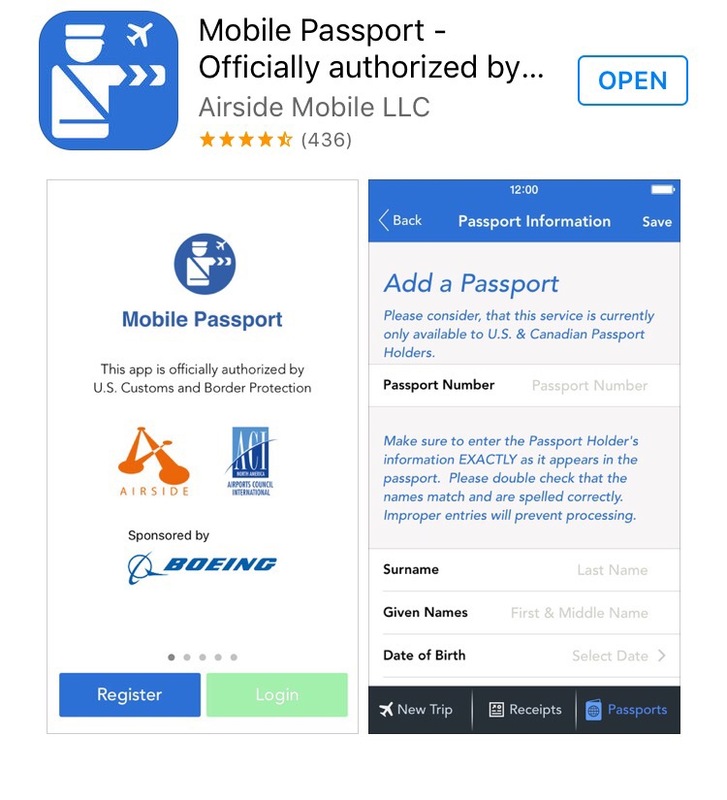 The app stores your passport jnformation so really the only additional information that needs to be added is your flight itinerary. Once added, a receipt appears which is scanned by customs as you breeze through the line. I haven’t had the chance to use it yet but will get to for two international trips this year. I’ll let you know how it goes! This entry was posted in Uncategorized and tagged border control, customs, passport, travel tips on March 10, 2016 by kermit206.